I have been trying to figure out what to make for my sons Christmas party at school. I wanted something that didn’t require me to bake and that’s quick. The great thing about this is you can use this for a Winter Party or playdate beyond Christmas. I thought about giving each child this Frosty the Snowman Snow Dough in this adorable baby food jar. I know the kids would have loved the play dough. But I decided to go with Snow Fluff. In our neck of the woods, you can’t find snow unless you drive to the nearest volcano. So if you haven’t noticed my motto is “If you can’t buy it, find it then make it.” So we are making our very own winter wonderland! Stay tune for some more Christmas fun or you can follow us via your favorite social network to get our updates: Twitter, Pinterest or Facebook and our readers preferred way via email. I have used snow fluff for sensory painting projects with my kids but it never clicked to make it a sensory play activity. With these three simple items you will find in your home you will be able to pull this project off whether it’s for a party your just needing some holiday fun activities with the kids. I first found snow fluff sensory play activity over at a Growing a Jeweled Rose and then the ideas started rolling on how I could make this a great party favor. I know the kids will love this! Place corn starch in a large bowl and slowly add the shaving cream and snow flakes. Mix it well. Add shaving cream until it’s the write consistency, moldable. It should be silky and fluffy. You can even have a snowball fight! You will need small disposable containers, foam: orange and black, and googly eyes. Cut out a triangle from the orange foam for the nose and small circles from the black foam. Place on top of the snow fluff and cover. Place the printable below on the bottom of the container. Note: Shaving cream will irritate the eyes. Do not consume. My 2 year old played with this, supervised. 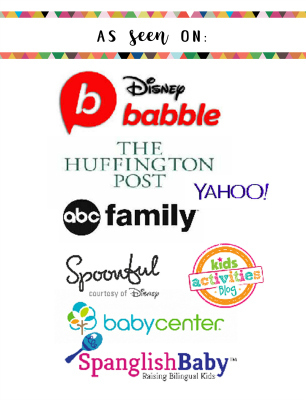 With all of our activities please take into consideration your childs age and adjust to their developmental ability. To print right-click over image and cut and paste onto your word document. Size it according to your lid. 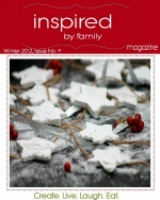 What a great idea.. Will try this for next Christmas class gifts .. Where do you get the snow flakes from? Hi Simone, You can get it at Walmart or even online on amazon. http://www.amazon.com/gp/product/B004C1W1Z0/ref=as_li_ss_tl?ie=UTF8&camp=1789&creative=390957&creativeASIN=B004C1W1Z0&linkCode=as2&tag=groajewros-20 Enjoy! Terri Lane, This works great for Winter fun (even past xmas): a party or playdate. Enjoy! It’s great idea, dear I baked may dishes christmis time, but didn’t try something else, I’ll be try it. Where do you find the irridescent snow flake? Becca, You can find them at Party City probably a seasonal thing but it doesn’t hurt to ask. Or Amazon which I’m sure you can get that at anytime of the year. What kind of containers did you use? Parenting Toddler Boys–You Can Do This!